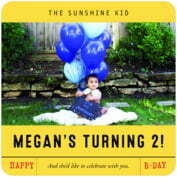 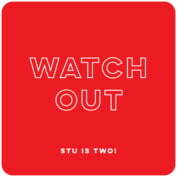 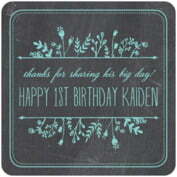 Remember this precious time and keep your tables free of spills, with these adorable baby birthday coasters. 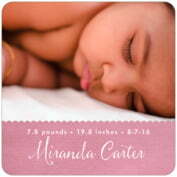 Use a photo of your little one in his or her most darling pose, to remember your child at this precious age, and to give your partygoers a wonderful memento to take home with them. 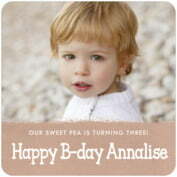 Choose from our many baby birthday styles, in your choice of colors. 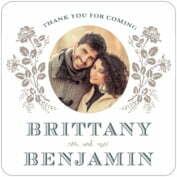 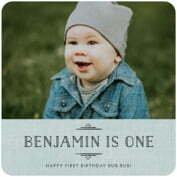 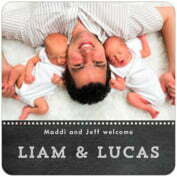 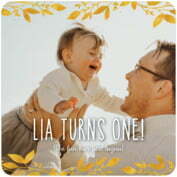 Coasters for baby's birthday are one of the most memorable ways you can find to commemorate the special day. 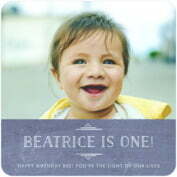 Select a baby birthday coaster style below to get started. 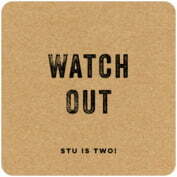 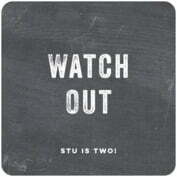 You pick the style, color and shape, then personalize the coasters with your own words. 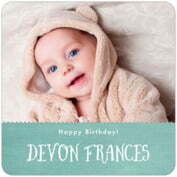 We've picked out some of our favorite customer baby birthday labels, stickers and tags above to show you what you can do. The text on the ideas above are for example only. 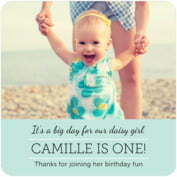 Small quantities are what we are all about so you can get just the amount you need, and ordering is fast and easy. 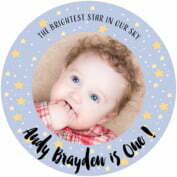 Plus, you are sure to be happy with your custom personalized baby birthday coasters: all of our standard personalized products are backed up with a money-back guarantee. 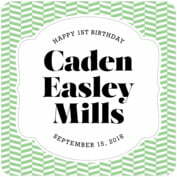 Transform your birthday party, baby birthday CDs, wine or hand made favors into unforgettable memories with personalized custom labels, stickers and seals, as well as matching favor tags, note cards, place cards, coasters and beer mats from Evermine. 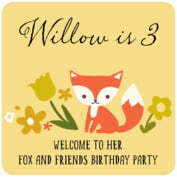 All of our baby birthday products, including tags, labels, stickers, seals, coasters, and cards, are customizable and personalized to fit your baby's birthday celebration perfectly.